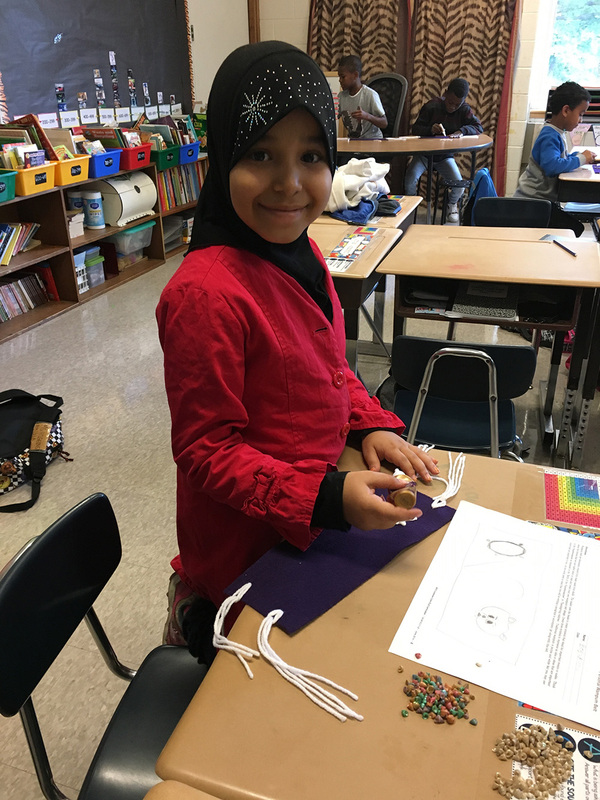 Temple Hill Academy’s fourth grade scholars have been learning about the Haudenosaunee, also known as the Iroquois. They synthesized information from several sources to identify the core beliefs, peace, love, and respect for nature, of these native peoples. 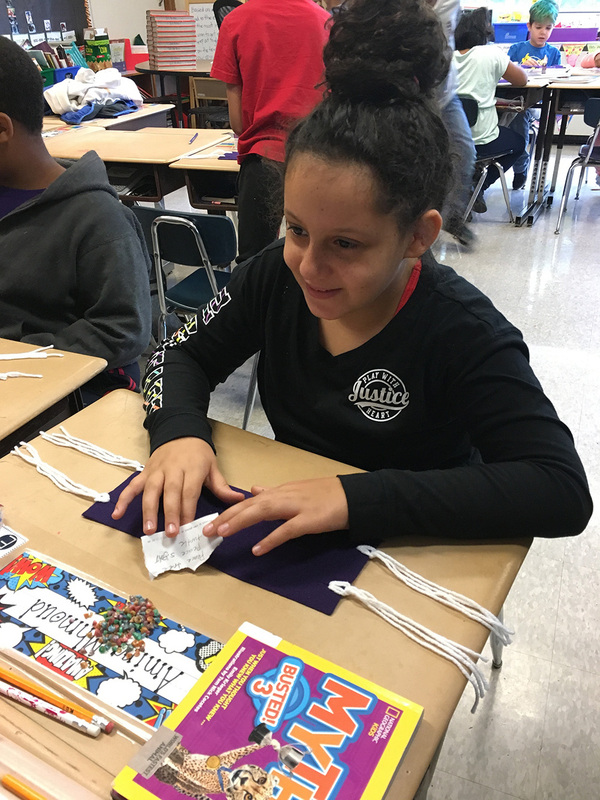 The students then created wampum belts, a guide used to narrate Haudenosaunee history, traditions, and laws. These beautiful belts are full of symbolism representing the Iroquois. The deep purple color of the background represents the Iroquois flag. 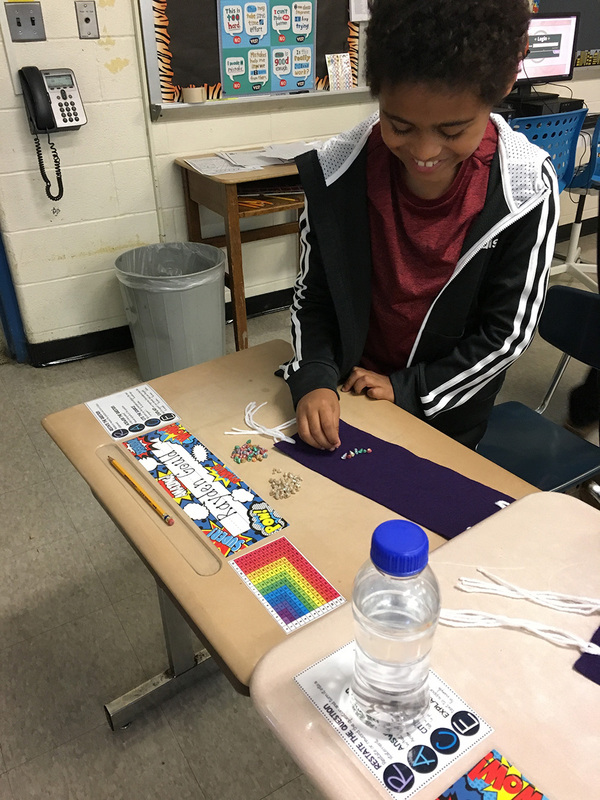 The students also used traditional materials of beads, shells, and feathers to assemble their wampum belts. 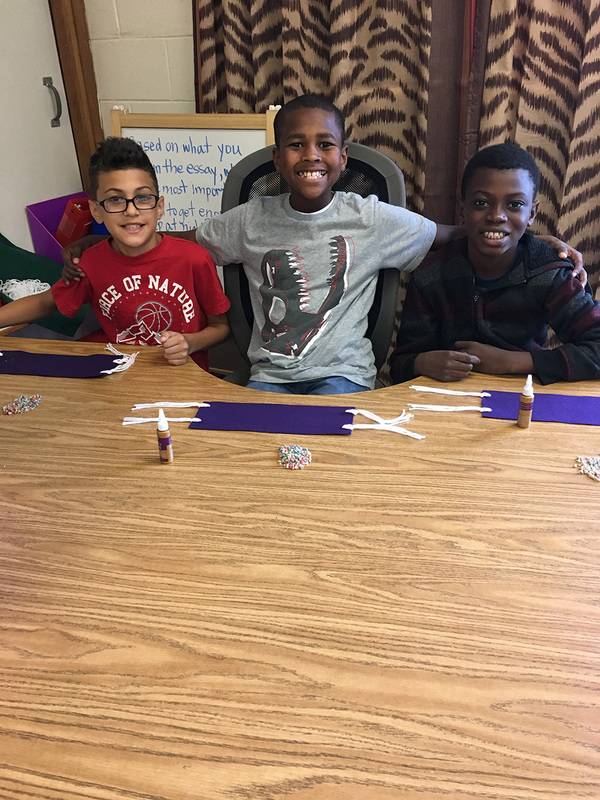 The fourth grade scholars truly enjoyed making these spectacular wampum belts. Each one tells its own unique story, just as the Iroquois did!